Comment: I am looking for someone to mow the lawn every two to three weeks depending on growth rate (more frequently in spring, less frequently in summer). I am not happy with current business because they are damaging my gate and grass with mowing equipment. I need a slightly smaller mower to access the backyard. Comment: I am interested in a spring clean up, lawn repair, shrubs trimmed grass cut about every 10 days etc. Comment: Need front lawn reseeded and plan to purchase/plant a japanese maple tree. Burns Lawn Care and Landscaping, Inc.
Ypsilanti Lawn Care Services are rated 4.45 out of 5 based on 2,260 reviews of 22 pros. 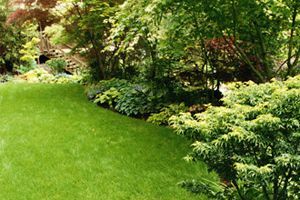 Not Looking for Lawn & Garden Care Contractors in Ypsilanti, MI?